Home / Why Should Data Center Capacity Management Be A Priority? Why Should Data Center Capacity Management Be A Priority? Data center electricity use doubled during 2001-2006, from 30 to 60 billion kilowatt-hours, and stood at around 100 billion kilowatt-hours as of 2013, according to the Department of Energy. Over 4 million rack PDU’s are shipped each year, translating to approximately 2 million new cabinets deployed. The backend power and cooling infrastructure costs to support each rack can amount to $20,000.00 per rack. With this intensive capital investment, capacity management, or improving the utilization of data center capacity quickly becomes one the most important tenants of data center operations management. Planning capacities, whether power, space, cooling, or available data connectivity, is essential to ensure that business critical applications and services are available and SLA’s are met. Data center capacity management helps to provide transparency of all your resources in real time and with utmost accuracy. It is not just about predicting hardware requirements, but also it is key to optimizing costs while providing effective business services. One of the emerging technologies to provide a fine balance between capacity planning for facilities infrastructure, IT, and communication is Data Center Infrastructure Management. DCIM can be an on-premise or cloud-based technology that provides real-time data from different infrastructure components of the data center and creates a relationship between them to provide capacity visualization at every level of the data center, predict future failures and asses impacts of the current situation. DCIM technology can help 40 different critical issues under six different solution categories: asset, capacity, change, energy, environment and power management. Here is how it helps with capacity management. 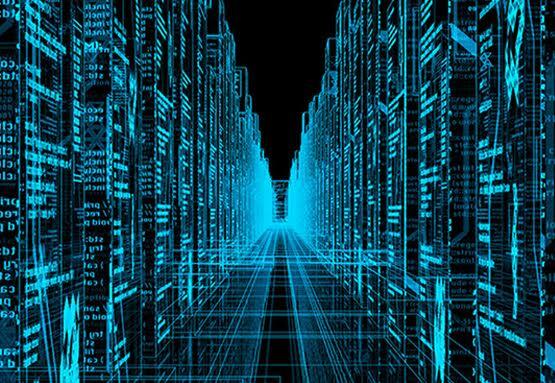 DCIM helps to maximize the utilization of your data center by first understanding data center capacity at every level. This includes cabinet U space, power capacity at cabinet, rack PDU, circuits in floor PDU/RPPs, upstream UPS, power ports in cabinets, (fiber or copper) data ports in cabinets, equipment vs. floor weight, and cooling capacity. By mapping relationships between all of these items, DCIM software quickly and automatically understands the impact of making any moves, adds, or changes in the data center, dramatically simplifies and supports the planning and provisioning process, and helps to easily determine future capacity needs. And since all of this is database driven with a web-based interface, DCIM tools can replace antiquated tools like Excel and Visio to track and visualize assets in the data center. In fact, rack elevations and floor maps are automatically updated with each change. With so much data center investment dollars at stake, it’s important to realize that continuous assessment and planning of capacities are needed at all times. If you’re looking at making data center capacity management one of your priorities, consider taking a test drive or sign up for a demo and talk to one of our DCIM experts. Want to learn more, check out the resources page for DCIM eBooks, white papers, and case studies.